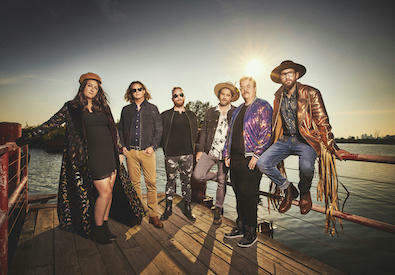 Mike recently sat down for a wide-ranging conversation with frontman and songwriter Simon Ward and keyboardist Dave Ritter of The Strumbellas, who are about to release one of the most highly-anticipated Canadian albums of the year. That album, Rattlesnake, follows their breakout collection, Hope, and its inescapable single, "Spirits." Simon and Dave discuss what it's like to write the follow-up to a global hit song and the goals they're setting this time around. Simon also opens up about his battles with stress and anxiety and the importance of addressing mental health in the music industry. And really, that's just the beginning as the conversation touches on all kinds of topics, from the intimately personal to widespread industry trends. 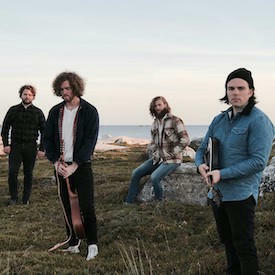 Before that, Andrew speaks with Matt Ellis of Villages, a new folk-focused project from the four members of long-running indie outfit Mardeen. Matt talks about what informed the decision to start an entirely new band at this point in their careers, the similarities and differences between the two projects and their respective workflows, whether they've encountered any growing pains transitioning between two distinct styles, and a lot more.